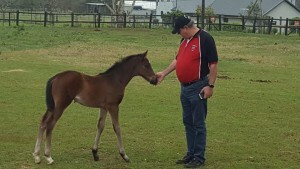 Specialising in Pre-Training young Thoroughbreds. Situated outside of Pietermaritzburg, Jane has started many good racehorses, including Overarching. 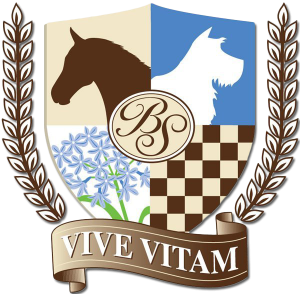 Backworth Stud is a boutique Thoroughbred Horse Breeding establishment, situated near Eston, in the Southern Drakensberg, KwaZulu Natal, South Africa. Born out of a passion to work with some of man’s most noble animals, Keith Russon and Ian Todd established the breeding operation in 2000. Bellwood Stud was established in 1970 and it is owned and managed by the Messenger family and is situated in the heart of the beautiful Midlands of KwaZulu Natal, 2.5km from the village of Nottingham Road. The farm comprises 250 hectares of arable farming land. 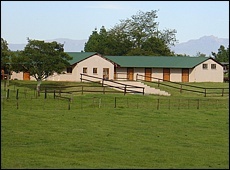 Bush Hill Stud is owned and run by Warwick and Karin Render and is a stud that has been a successful commercial operation for over thirty years, the last 17 under the Render’s management, who between them boast in excess of forty years of experience in the horse breeding industry in South Africa. Originally located in Ermelo, Clifton Stud – owned by Peter and Jen Blyth – was relocated to Rosetta, in Kwazulu Natal and is situated 2,5kms off the R103, east of Rosetta and the farm is 138 hectares in extent of which 36 hectares is under irrigation. Jane Thomas specialises in pre-training racehorses, as well as spelling and recuperation. 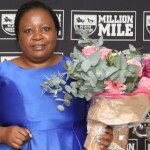 She has worked in the SA Racing Industry since 1990. She held an open trainers license with the National Horse Racing Authority from 1990 – 2000. 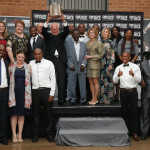 Jane’s success in the racing world and her ability to understand the fundamentals of South African racing led her to start a pre-training facility at Far End in 2000. Greenhill Farm of Stuart & Lola Crawford is situated in the picturesque Lidgetton Valley in the midlands of KwaZulu Natal. 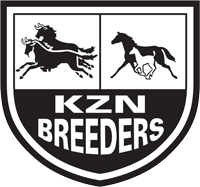 As the logo suggests the farm activities include breeding of race horses and growing of the national flower Protea cynaroides and the King Protea. Stallions: Announce, Call To Combat, Modus Vivendi, Damage Is Done and Jam Alley. Breeders of Kalaam, Eastern Greeting, Kwinta, Wynkelder, Kanonkop amongst others. Rob and Michele Pickering both run their farm together, and have been breeding horses since 2002. Middlefield Stud has their own broodmare band, and they spell mares for clients. Specialising in the transport of Thoroughbreds. We are based in Mooi River, we transport horses country wide from within KZN to Gauteng, Cape and PE. With a breeding philosophy of buying the best mares and breeding to the best stallions across South Africa, it reflects in the quality of horses winning after only four years of commercial breeding, including Kalamain and O Tamara, whilst selling Mauritian champion Cherish The Charm at the their first yearling sale in 2011. Breeders of Romany Prince, Surabi, Malteme, Wendywood, American Gr 1 winner Gypsy’s Warning, Harry Lime and the famous white colt Gran Blanco. Standing sires Noble Tune(USA) and Strategic News (AUS). 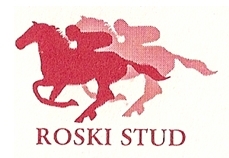 Nutfield Farm – situated in the beautiful Lidgetton Valley in the KZN Midlands – is the home of Roski Stud – a small family business – owned and managed by the late Greg Royden-Turner’s family, his wife Chelle Royden-Turner, and their daughter Juli (Soss) and Ross Santini. Scott Brothers achieved their ambition and have been leading breeders for the past 45 years, producing champions and consistently good racehorses, including the winners of the country’s two top races, Rothman’s July Handicap and the J&B Metropolitan Handicap. New home of Crusade(USA) and Eightfold Path(USA). Spring Valley Stud have about 55 of our own mares, and board about 20 mares for clients. We offer the following services such as boarding, foaling down mares, sales prepping for yearlings and 2 year olds. 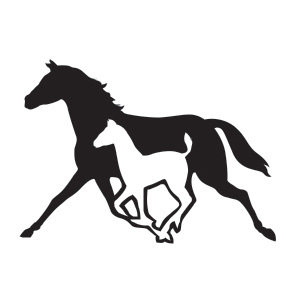 Spring Water Farm is a thoroughbred horse breeding farm based in the Midlands part of the province of the KwaZulu-Natal in South Africa. This is one of the best places to breed in this ‘magic country’ and the farm is situated just alongside the Champion South African breeder for a 9 consecutive years, Summerhill Stud. Bought in 2009 by French breeders Xavier and Nathalie Bozo, this old cattle farm has been completely renovated by the current owners and the 70 ha now offers a wonderful place to breed and raise horses. Champion Breeders for 10 years, nine of them consecutive. Summerhill is renowned for its exceptional facilities, its highly advanced communications and administrative infrastructure, an internationally trained workforce, and one of the finest stock raising environments anywhere in the world. 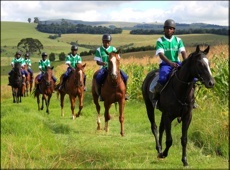 The Fort – Stud and Stables is located in Fort Nottingham in KwaZulu-Natal. Owned and operated by Jill Fox since 2006, The Fort has bred, backed and pre-trained numerous winners of races up to Grade 1 level both in South Africa and abroad, including Dubai, England, France, Germany and Mauritius. Launched in 2008, Wood-Moore Manor Stud’s focus is on commercial breeding and racing with the aim of being recognised for superior quality in our bloodstock and developing a strong culture of loyalty and commitment to their industry and all its stakeholders. Situated in the heart of the Midlands, Mooi River, the picturesque Wynnholme Stud is nestled in an area famed for producing some of the country’s top racing stock. Choosing quality over quantity, the horses in the care of Wynnholme Stud are each a name and not a number. We like to keep an exclusive number of mares where each horse is able to receive the extra daily dose of personal attention under our care. Yellow Star Stud is situated just outside Mooi River in the beautiful Kwazulu-Natal Midlands. 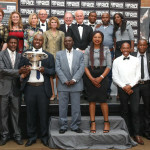 Yellow Star Stud is a family run business owned by Koos & Lorraine de Klerk. Their son Patrick Ellis is the Stud Manager and their daughter Ashley de Klerk deals with administration.